Mini Combo Deep Dome Lamp Fixture | Zoo Med Laboratories, Inc.
Two fixtures in one for maximum convenience! 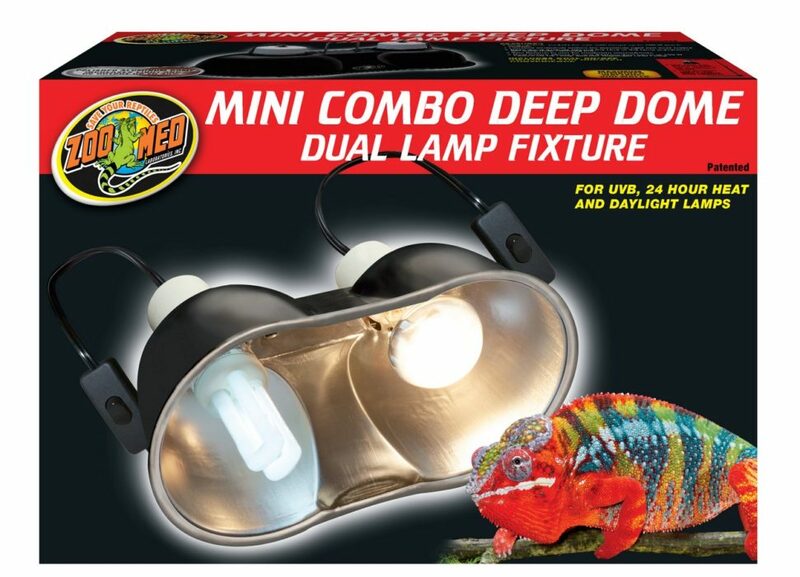 The dual fixture allows for one Basking Spot® Lamp or 100 w PowerSun™ UV Lamp and one Nightlight Red™ Heat Lamp. Use with Zoo Med’s Reptile Lamp Stand (LF-20) for maximum safety.